Ep.12: "A Giant Game of Bumper Cars"
Ep. 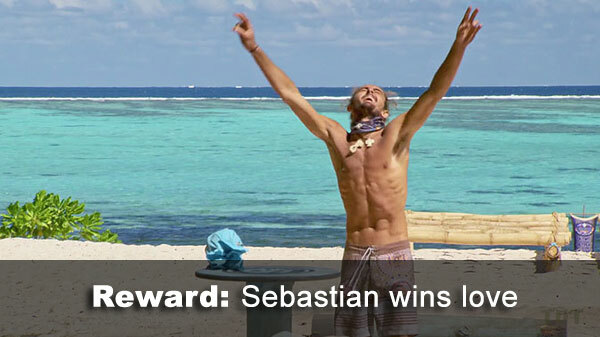 12 Reward challenge: "A Quick Affair" - After almost blowing a huge lead, Sebastian wins, takes Dom & Donathan and their loved ones (after initially also picking Wendell). Ep. 12 Ghost Island: Wendell volunteers to get a guaranteed advantage; it's Malcolm's from Philippines. Ep. 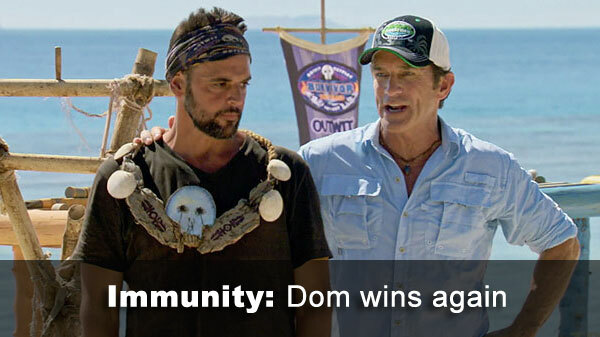 12 Immunity challenge: "The Ball Drop" - Domenick wins his second straight. Ep. 12 voted out: Chelsea, 5-3 over Wendell, who does not play his idol. - Reward challenge scoring: Not much to report here this week. Since Dom was the only other person through the crawl in the RC, he finishes second, while the others are all tied for third. - Chelsea received 5 votes, from Domenick, Donathan, Laurel, Sebastian, and Wendell (voted out, 5-3). 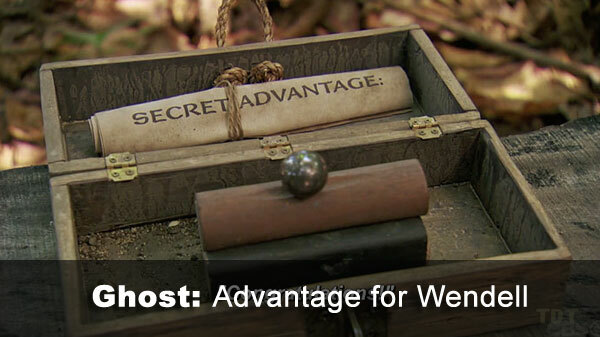 - Wendell received 3 votes, from Angela, Chelsea, and Kellyn.